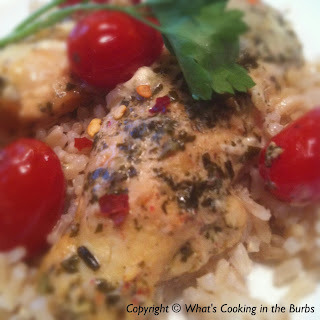 This is one of my all time favorite chicken dishes although my first time making it in the crock pot. I tweaked the recipe a little to make it crock pot friendly and it turned out great. Serve over pasta or rice. Arrange chicken in bottom of crock pot. Season with garlic powder. Pour pesto sauce over chicken. Add the cream cheese and tomatoes. Evenly sprinkle shredded cheese over top. Cover and cook on low 4 hours. Serve over rice or pasta. Enjoy! Low-cal and low-carb--and looks fabulous. Even better, it's a Crockpot recipe. Wow! Thanks so much for including this at Foodie Friday. What a fast and easy recipe. Love it. Oh Yummm! I have pinned this to try later! Looks healthy and delicious! Can you put some chicken in the mail for me? I didn't cook dinner tonight.